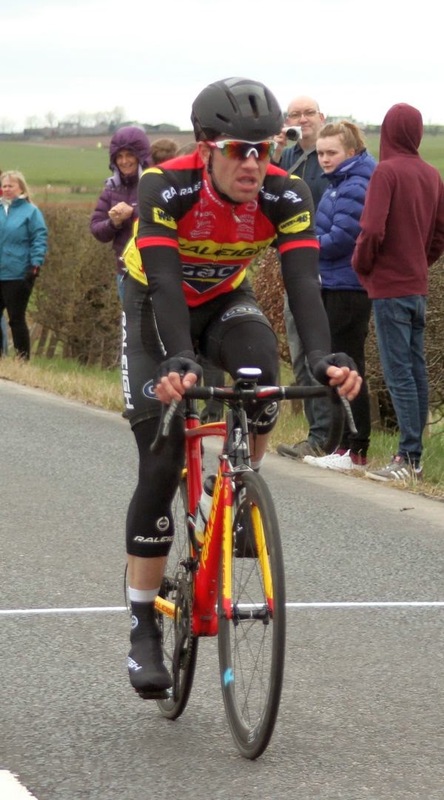 Evan Oliphant The Drummond Trophy is a cycle race around the roads of Strathaven (pronounced Stray-vin) in South Lanarkshire. Strathaven is a small rural town and the surrounding roads, apart from the busy Ayr Road, are pretty quiet. It was held today (19th April) in quite cold and windy conditions. The race is held in April every year and is sponsored by Norrie Drummond the bookmaker. 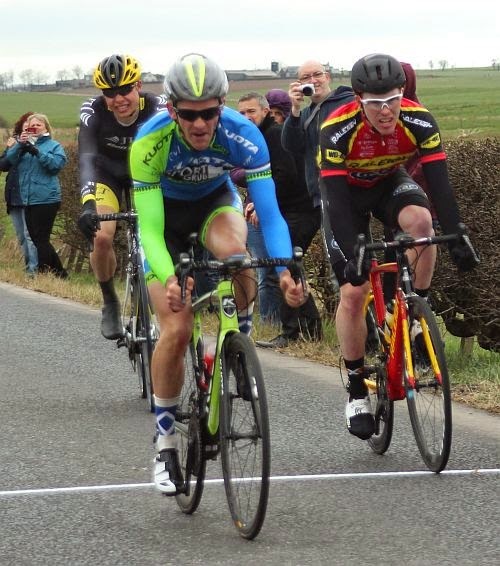 Norrie was a cycle racer when he was young and the family bookmakers have sponsored the race now for 60 years. Photographs of the race can be seen here. 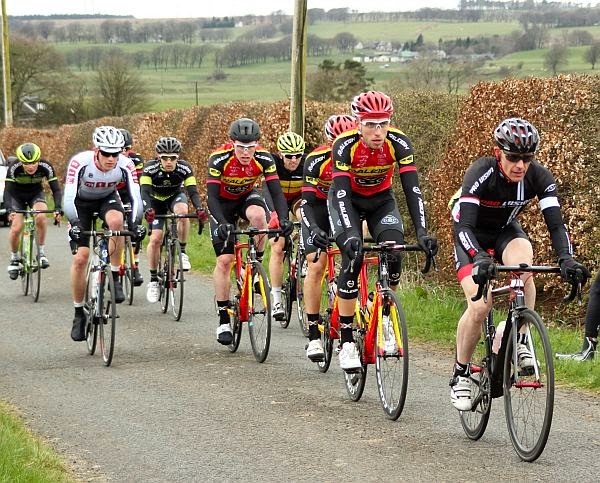 Glasgow cycling club, Glenmarnock Wheelers, are the race organisers and they put a lot of effort into running the event. It is always organised in a very professional manner and the club also arrange for service cars to help riders with mechanical problems while on the course. The St Andrew's Ambulance Service also provide medical assistance when required by riders (and spectators) who suffer an injury or medical problem during the race. There were also plenty of marshalls on the course guilding both riders and spectators during the event and making sure dropped riders did not get lose. The roads around Strathaven are quite numerous and it is easy to get lost if unfamiliar with the area. The race is between 80 and 100 miles in length and is open to Elite, 1st, 2nd and 3rd cat riders offering the 3rd cats the chance to ride against pro and semi pro riders. 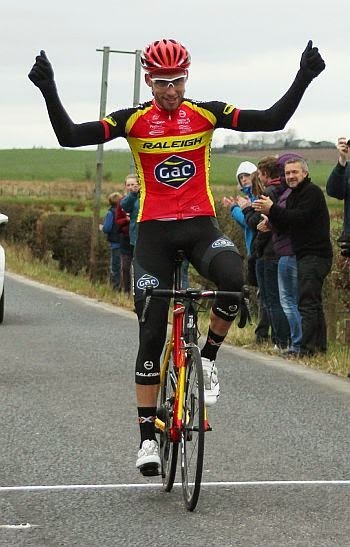 Previous winners of the Drummond include the late Jason MacIntyre, Raleigh pro Evan Oliphant and Commonwealth Games medalist James McCallum. 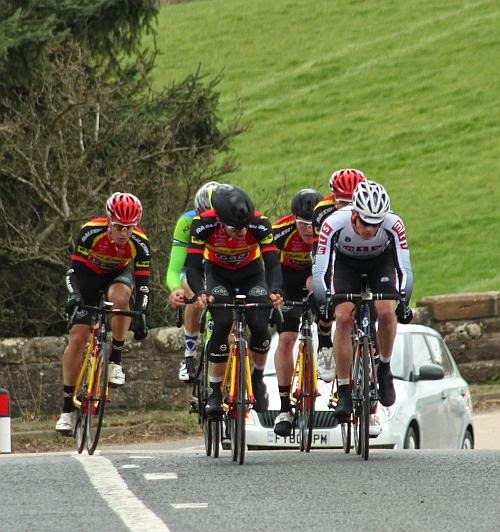 The roads around Strathaven are pretty hilly and the Drummond is always a tough test for the riders who come from all parts of the UK and beyond. I took my Brompton folding bike and cycled along the route to catch the riders. I was unable to carry my heavy Canon 'L' lenses on the bike so took a smaller lens which was reasonably good for picture taking. More photographs can be seen here. 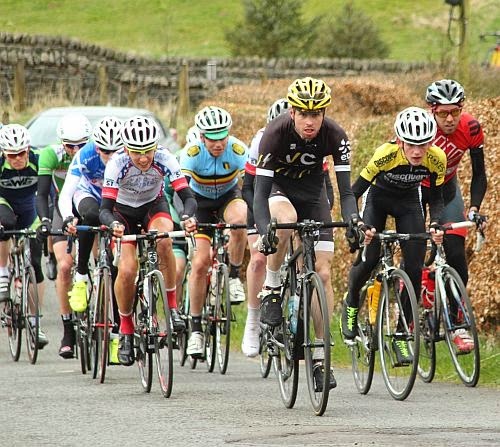 4 Brad Morgan Raleigh GAC "
5 Harry Tanfield JLT Condor "
7 Sam Boast Wheelbase Altura MGD "
9 Jason Roberts Pro Vision Cycle Clothing "
It was a great day out despite the cold weather but at least the rain stayed off.